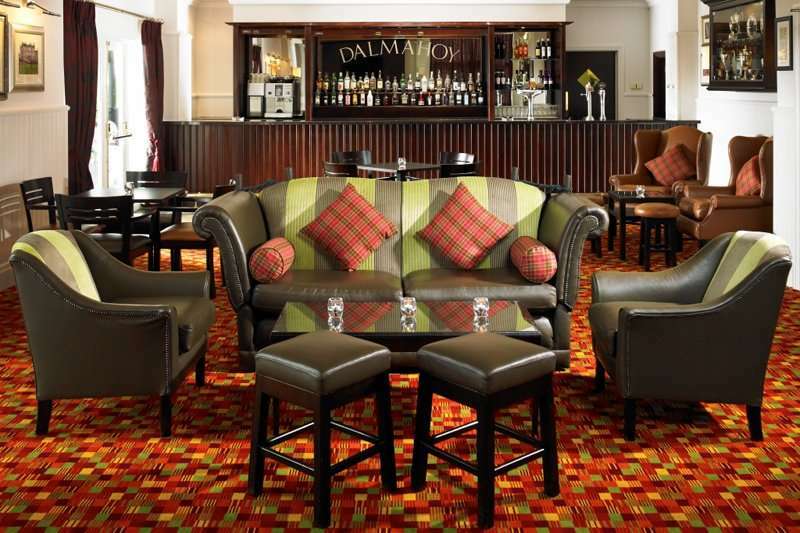 Situated in over 1,000 acres of beautiful parkland sits the four-star Dalmahoy Hotel and Country Club. 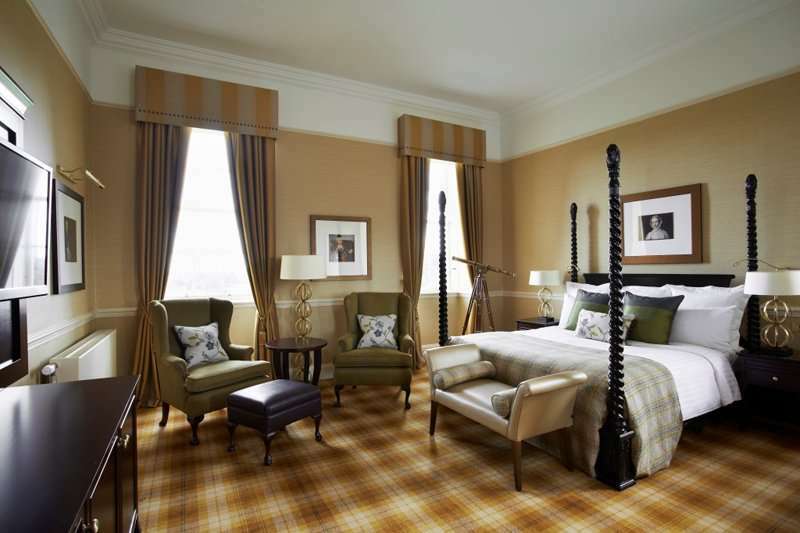 From the hotel you can enjoy spectacular views of Edinburgh Castle and the Forth Bridges. 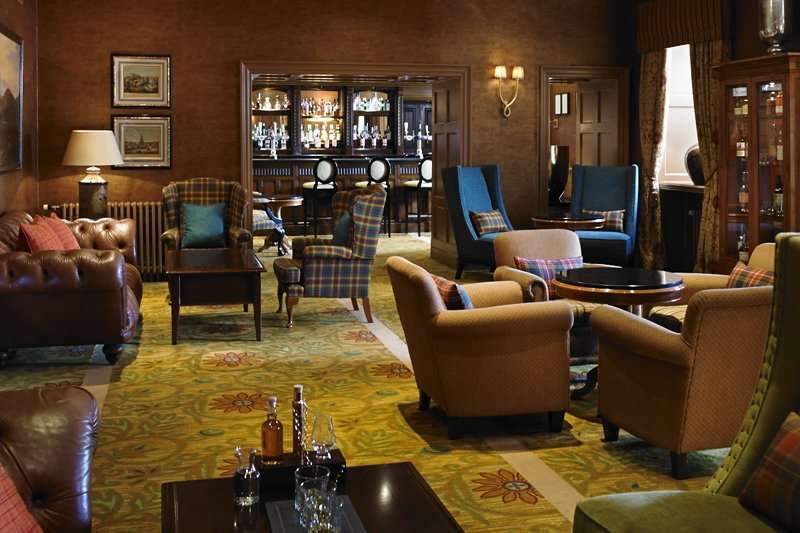 The hotel was built in 1725 and is a celebration of Scottish heritage. There is a lot to see in the area as Edinburgh is just 20 minutes’ drive from the hotel which means that you have easy access to everything that the brilliant city has to offer whilst staying in a quiet and beautiful setting with two onsite golf courses and away from the hustle and bustle. There are plenty of historical and cultural visits to take such as to The Scott Monument or Edinburgh Castle or The Georgian House. If you are looking for activities rather than culture and history there are things to suit you as well including Edinburgh International Climbing Arena, hiking, snow sports and other sports and activities. 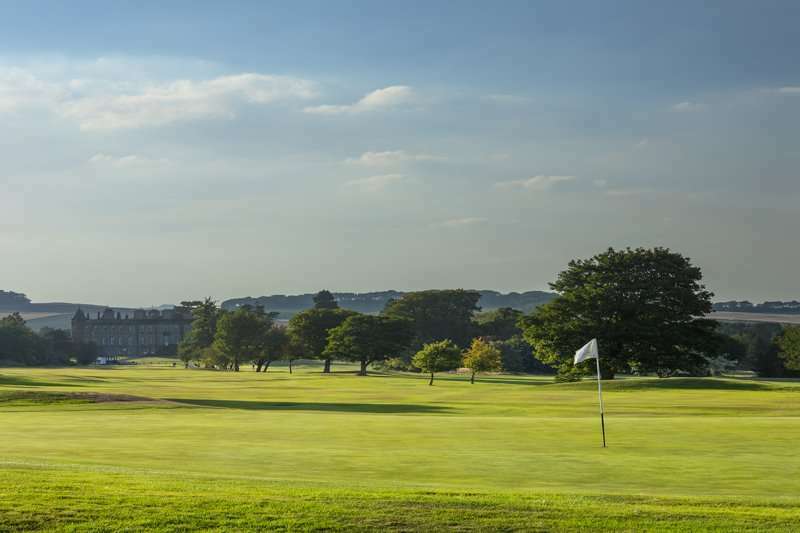 Whilst you are not out and about you can spend time relaxing in the hotel in the spa with the sauna, steam room and heated pool or you can enjoy the gym and the indoor heated swimming pool. 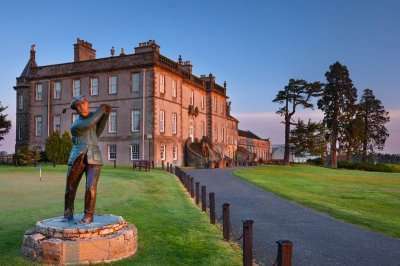 This is a brilliant hotel which is perfect for a golf break to Scotland. FREE! 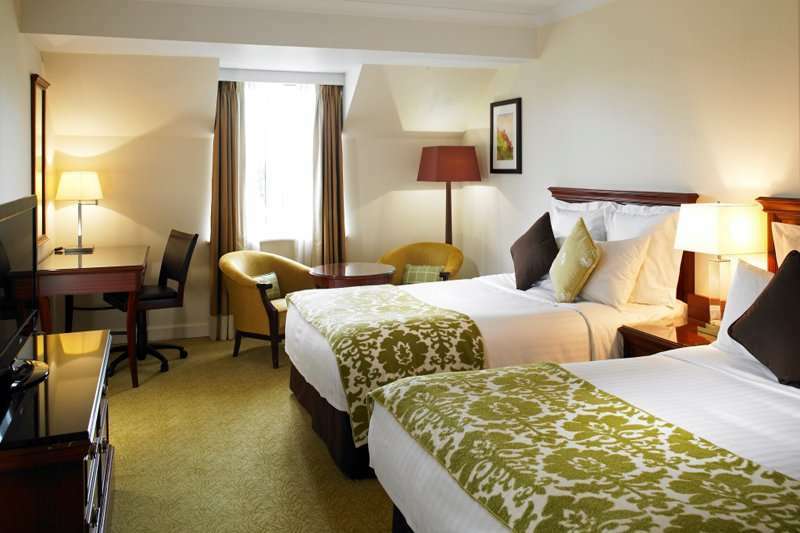 : Prices from £94, 1 free in 12 and welcome drink - T&C's apply. The service at the hotel is always outstanding and staff are always available for room service. 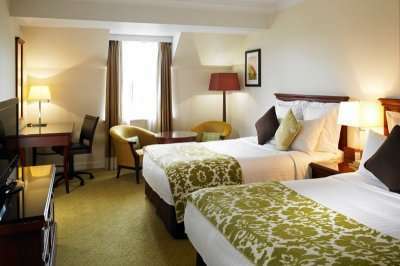 All of the rooms are spacious and have lovely ensuite bathrooms, flat-screen TVs with Sky Sports as well as tea and coffee making facilities and a mini-fridge. At the hotel’s award-winning restaurant, The Pentland, you can enjoy freshly prepared meals whilst overlooking Dalmahoy’s green parkland surroundings. 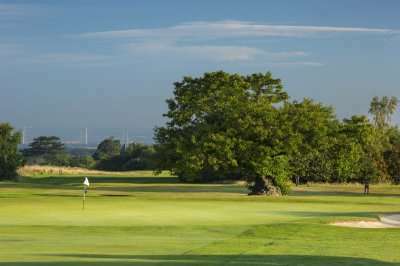 If you are looking for more casual dining, the Brasserie Restaurant and James Braid Bar are perfect. 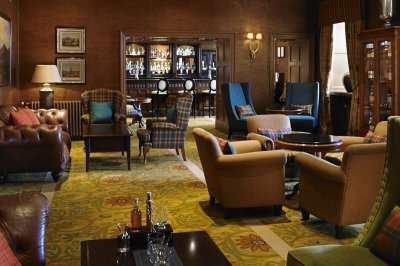 Of course, with the hotel being so close to the city of Edinburgh, if you are looking for brilliant bars and restaurants outside of the hotel then you don’t have to venture too far. The hotel’s luxury spa and wellness facilities are excellent. 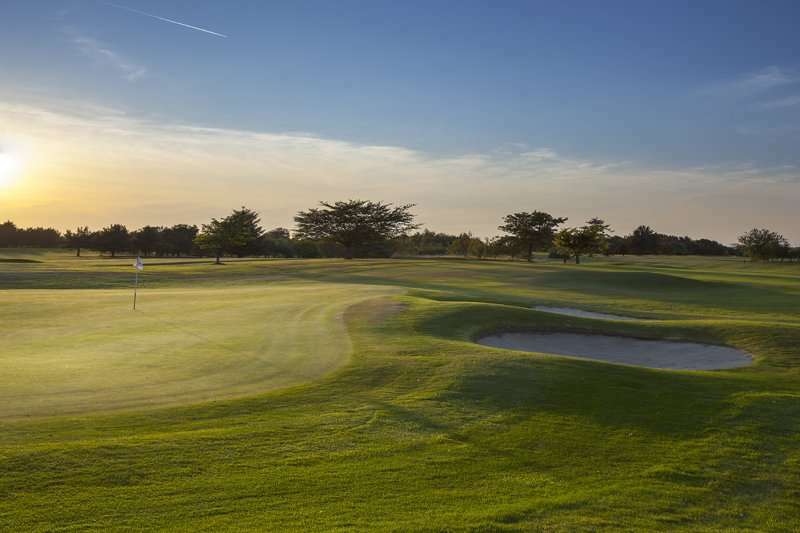 Whether you are looking to have a go on the pitch and putt course, play tennis, swim, workout in the gym or just spend your time relaxing in the spa there is something for everyone here. There are also a wide range of treatments for you to choose from in the spa. 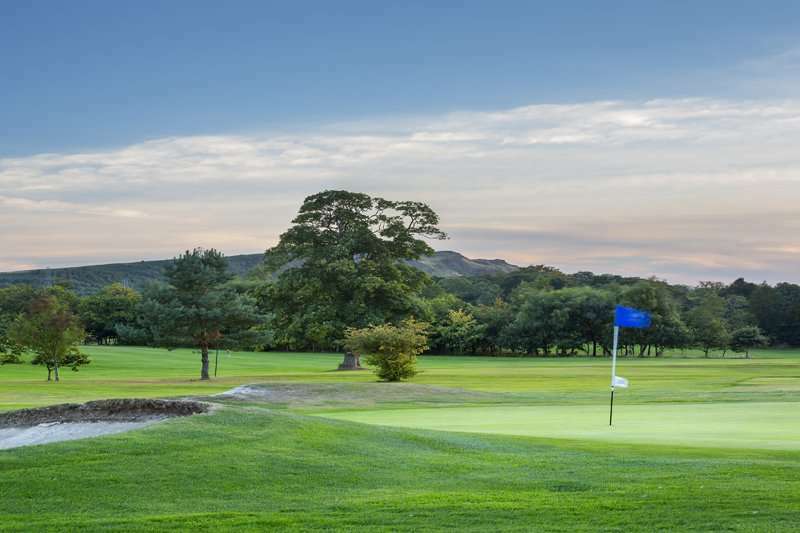 If you are looking for a great hotel with excellent service, excellent facilities, an excellent location and two 18-hole golf courses (one of which is a championship course) on site then this is the ideal place for your next golf escape in the UK.